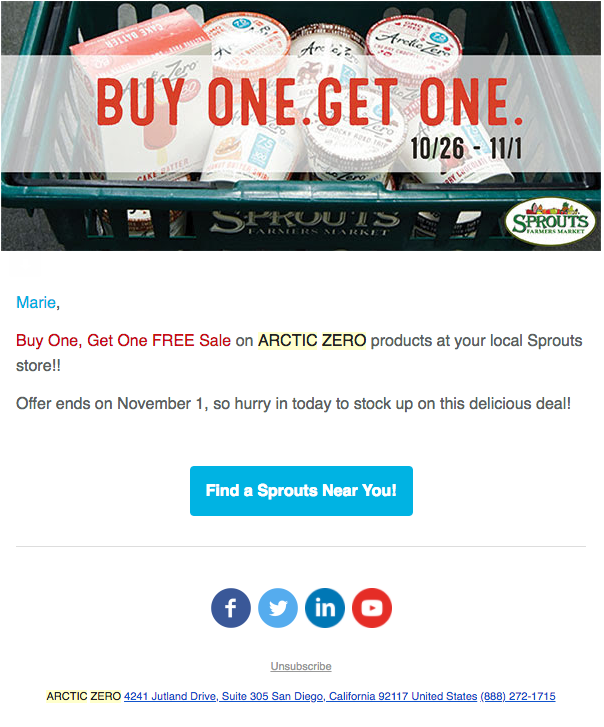 You've just found your new content strategist/copywriter! View samples of Marie's written work that range from U/X and SEO content to product packaging and technical writing-- produced for a variety of industries. 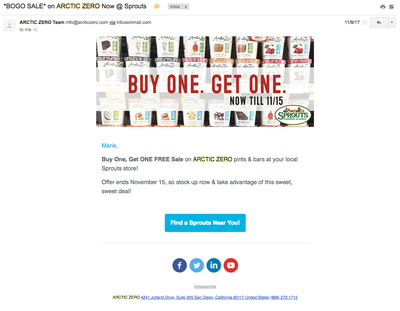 Blog Article | Arctic Zero's 2017 New New Flavors | Dig in! 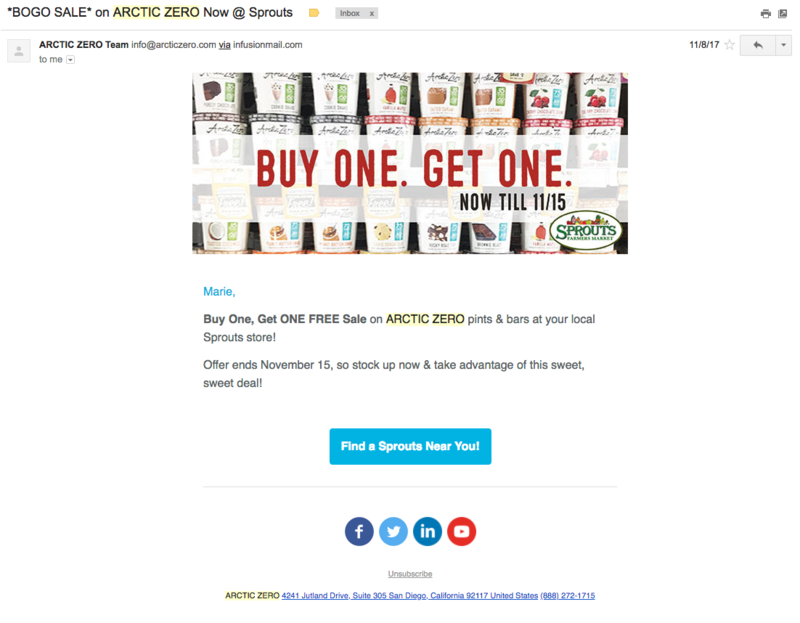 The official announcement of Arctic Zero's new pint and bar flavors for 2017. Blog Article | You Scream. I Scream. We All Scream for Emily Zeck! Blog article announcing the launch of rising pop star, Emily Zeck's "Two Cents" music video, featuring her love for her favorite summertime treat, Arctic Zero Fit Frozen Desserts®! 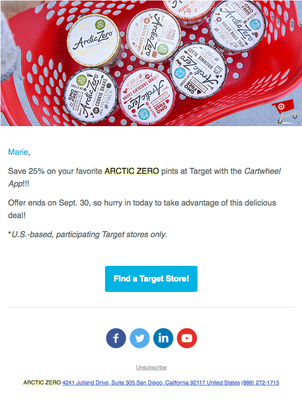 Arctic Zero blog announcing 2017 Summer Freedom Tour-- inviting Fit Frozen Fans to get their dessert on with the Arctic Zero Tasting Crew as they exhibit in nationwide events. Master motivator and fitness guru, Katie Burke guest vlogs and endorses low-calorie, delicious Arctic Zero Fit Frozen Desserts. 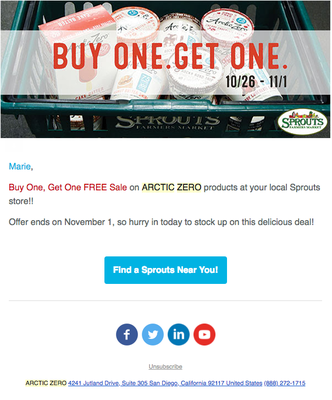 Blog article with a recipe video that showcases one of the delicious and healthy ways to enjoy Arctic Zero. Tempt your Valentine with a deliciously decadent, yet healthy treat. Watch the recipe video now! 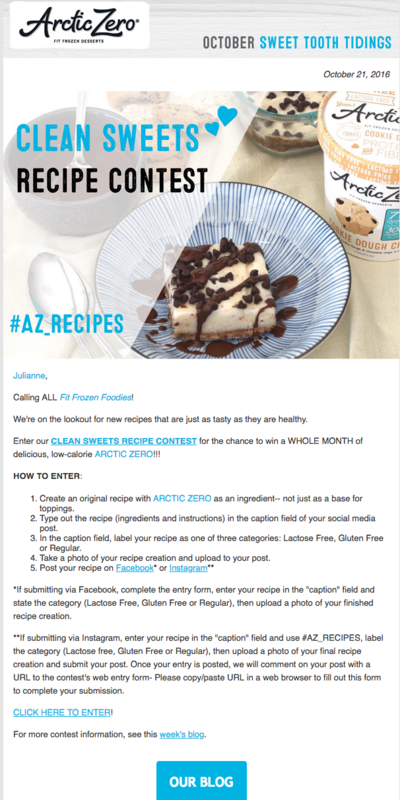 2016 Recipe contest launched by Arctic Zero to collect original recipes using one of the pint flavors as an ingredient. Blog Article | Let Them Eat Cake Batter! 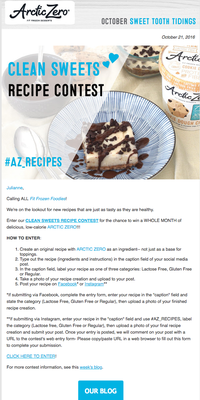 Tempt yourself with delicious gluten-free cake-inspired combinations to enjoy ARCTIC ZERO Cake Batter. See why your favorite frozen dessert should be celebrated all month long. [Guest blog with byline: Marie Rizzuto (*Rizzuto is my previous surname)] Prevent Pet Obesity | Learn 5 Tips on how to keep your furry friend happy and healthy. Like what you see and you want to see more? Email Marie Daland directly or complete the form below.